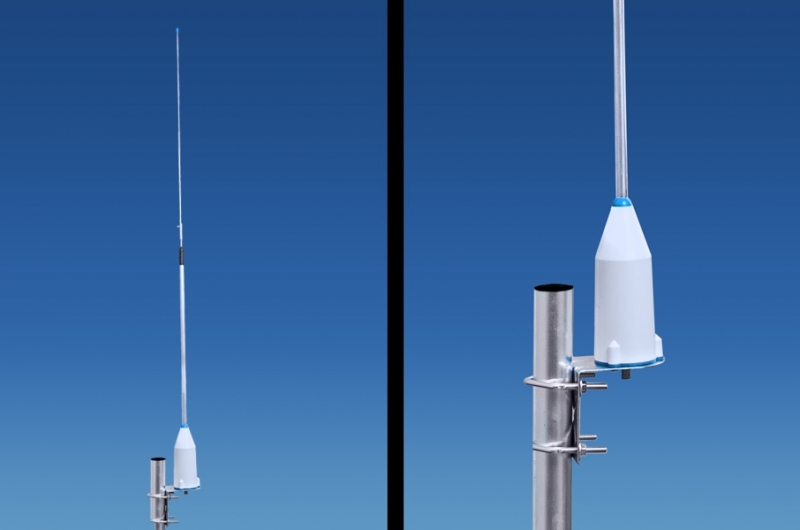 Main page » Catalogue » DAB+ » » DAB+ antenna "Jimi"
The DAB + antenna "Jimi" is a new development and can be used as external or internal antenna in preferably vertical, but also horizontal polarization. "Jimi" brings 1 dB antenna gain (opposite dipole), comes with F-connector as well as F-connector and is connected to all tubes or round + square objects with max. 50 mm in diameter. (See picture) Ideal for the balcony, the roof window, the window sill and even inside. "Jimi" is 94 cm long and the holder is 9 cm wide at the widest point. Only one cross-slotted screwdriver and a 10 mm open-end wrench (or combination drill) are required for assembly. "Jimi" comes in the 630 x 90 x 80 mm carton and can be assembled in 3-4 minutes without further preparation. (With cigarette and coffee, of course, it takes longer.) An illustrated instructions are included - although it is not needed. In tests, "Jimi" right next to the DAB radio averaged 3 beams more than the radio's own antenna. If you take "Jimi" outwards, the total signal rises significantly. Because of the carton length shipping unfortunately only for 6 euros possible! Works excellent! Before signal strength 30% 20 BER, now 100% 0 BER. One point of attention: do not overtighten the f-connector (do not use pliers, but tighten by hand). Works excellent! Before signal strength 30% 20 BER, now 100% ..